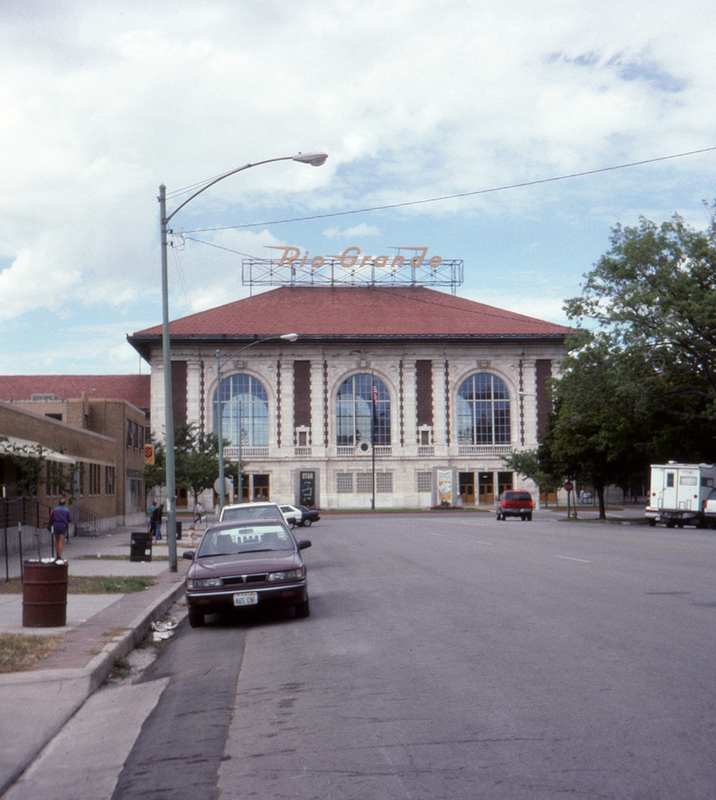 28 years later the situation had changed considerably for the better, with Amtrak now using the former Denver & Rio Grande Western/Western Pacific depot for the Salt Lake City stop of its California Zephyr. Until just a year ago the Desert Wind had also added its consist here to the Zephyr after arriving from Los Angeles (and splitting here in the other direction). Until 1991 the Pioneer had also joined the party here but after 1991 was routed instead over Union Pacific from Denver to Ogden, with just a bus connection for Salt Lake City passengers. Alas, the "Western Pacific" sign no longer proudly hangs below the Rio Grande's speed lettering; the Rio Grande itself has been part of Union Pacific since September of the previous year. The street in the foreground is 300 S.